At Astrocyte we mostly focus on global macro data and global financial markets. However, sometimes the best expression of a trade or idea is discovered by going deep into the data to find the single, cleanest expression. 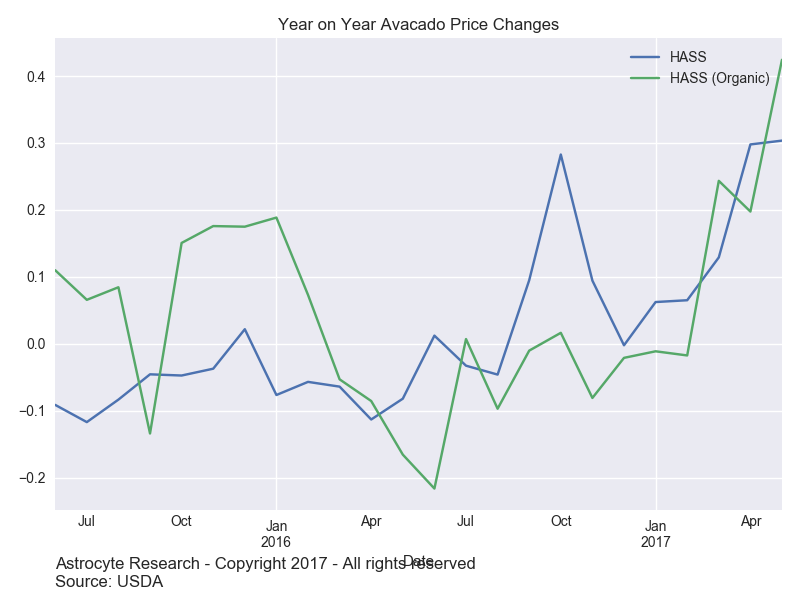 La Niña has shot up Avocado prices and dropped volumes. Now estimate the impact of this on the balance sheet and business segments. Just like we model economic data, estimate demand for goods based on input prices and discover that the market is overestimating the growth of only one business line but have missed the seasonal distortions and the big drop in volumes. Disclosure: Sean Kruzel intends to take a personal short position in CVGW in the next 24 hours.